PLEASE CAREFULLY READ AND UNDERSTAND THE INSTRUCTION MANUAL BEFORE ATTEMPTING INSTALLATION. The PedalBox has been carefully designed and rigorously tested. By following the instructions and advice in this manual you will avoid incorrect fitment and ensure maximum enjoyment without running the risk of voiding the guarantee. Turn off the ignition and wait five minutes. Loosen the plug connection from the original plug adapter. 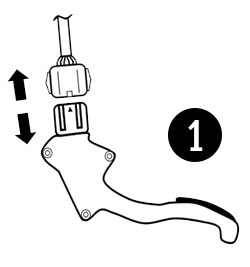 Attach both OEM connectors to the accelerator pedal sensor. Lay the cables in such a way that they are securely installed and are not interfering with anything else. Attach the PedalBox at a comfortable height in relation to the driver’s seat. Never install or remove the PedalBox system with the key in the ignition or the ignition system active. Always switch off the ignition and wait 5 minutes for all electrical systems to power down and fully discharge. Some vehicles may require additional time to power down. 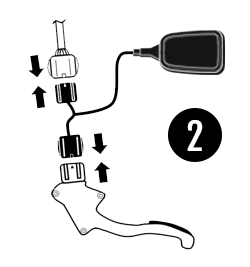 On most vehicles the connection for the PedalBox is close to the accelerator pedal or the steering column. You must ensure that the PedalBox and the associated wiring loom do not interfere with the operation of the pedal or the steering and are secured at all times. Do not modify the PedalBox or wiring loom in anyway. Any modifications will result in voiding of the guarantee. NoThrottleLag.com is the Official Partner and Distributor of DTE Systems PedalBox. We are the only officially authorized distributor of PedalBox in the United States.